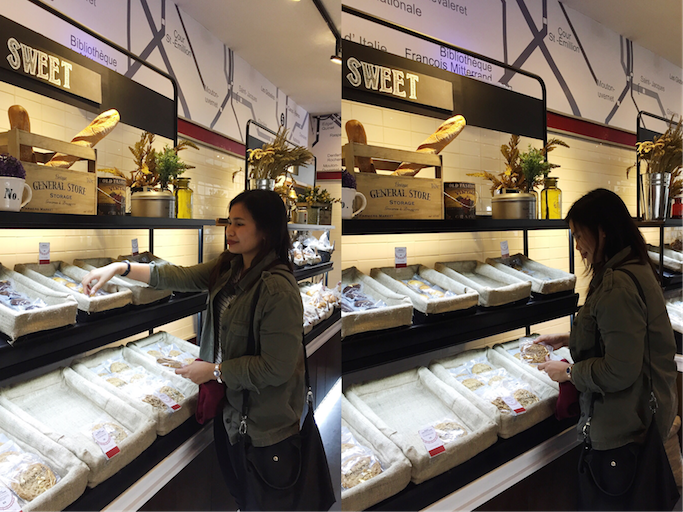 A new bakery recently opens in Makati. Boulangerie 22 (or B22) whips a wide variety of bread and pastries using state-of-the-art machines... Best part? From scratch! Visited the launch of their newest branch at the ground floor of One Legaspi Park Condominium, Rada Street, in Legaspi Village. These guys were crazy, hehe! We also came in as French girls! Vern trying to decorate a Boulangerie 22 Character Cake, cute! Boulangerie 22 also prides itself with its must-try sourdough. Everything that I tried that afternoon tastes great! I am a "kanin person", but I love their bread and cookies because they are moist and yummy. I also recommend their macarons, and piece is only at Php 39! Watch out for the opening of Boulangerie 22 in SM San Lazaro on March 1, 2016 and the Venice Grand Canal by April 2016. A Lucky Chinatown branch is also coming soon. For more information, visit www.boulangerie22.ph. See you on your next coffee break! Au Revoir!